Together with our partner universities around the world, LJMU are offering you the exciting opportunity to take part in one of our international Better Futures Summer Schools. These short-term programmes are funded and usually involve academic activities, cross-institutional student collaboration and cultural excursions. For the summer of 2019, the Better Futures Summer Schools will take place in China and Malaysia. These prestigious schemes will be very popular. If you take part you should expect a real impact to your CV. LJMU also offer independent Summer Schools at various partner universities across the world. These are funded opportunities, meaning the cost of flights, accommodation and most activities are covered. This is an important part of the University’s aim to offer all undergraduate students an international experience. For the summer of 2019 you can travel to Spain, China or Sharjah, United Arab Emirates to experience a new culture, make new friends and ensure your CV stands out from the crowd. Level 4 and 5 students in each participating faculty can apply for their relevant summer school. You will not be eligible if you have previously taken part in this programme. Most China summer schools will take place 25 May - 3 June 2019 (the Yunnan Agricultural University programme will take place from 1 - 10 June 2019). You will work collaboratively with local Chinese students on academic group projects. There will also be many cultural activities included and all groups will visit Shanghai. The programme is fully funded and you will only require spending money. You will need to apply and pay for your visa independently; LJMU will reimburse you for visa costs. Applications are now closed. If you are considering or have secured yourself a work placement in Europe over the summer you can find out more about European opportunities or get in touch with us at goabroad@ljmu.ac.uk. The Sharjah Summer School Programme is open to level 4 and 5 students within the Faculty of Engineering and Technology. You will not be eligible if you have previously taken part in this programme. This is a one-week programme taking place at the University of Sharjah between 13 – 20 April 2019. Activities will range from cultural immersion, sightseeing and class work. LJMU will pay for your flight, accommodation and the Summer School programme itself. The LJMU Summer School Programme is open to all full-time level 4 and 5 students. We offer a range of summer schools open to all level 4 and level 5 students in Spain, Indonesia and Peru. These will require you to fill out an application form where students can apply to one summer school of their choice. All programmes offer educational and cultural experiences. The Spain programme will also involve 10 hours of Spanish language lessons. Please speak to your International Mobility Coordinator (IMC) for more information. Summer schools are fully funded – including flights, accommodation and various activities. You will need money for food and spending as well as any inoculations and Visas you might need. The Better Futures Summer School Programme is open to all full-time level 4 and 5 students. Better Futures is a collaboration between leading civic universities across the world, committed to creating a positive impact for communities. We create better futures for communities worldwide, by providing life-changing experiences for students that in turn improve the lives of others. This year, summer schools will be taking place in Malaysia and Shanghai. The Malaysian summer school will include visits to Orang Asli, Pulau Banding an Orang Utan Sanctuary Island, community engagements as well as talks and seminars. Visa and inoculation costs will not be reimbursed. Please note that our Better Futures Summer School in China is a separate scheme to the LJMU China Summer Schools Programme. 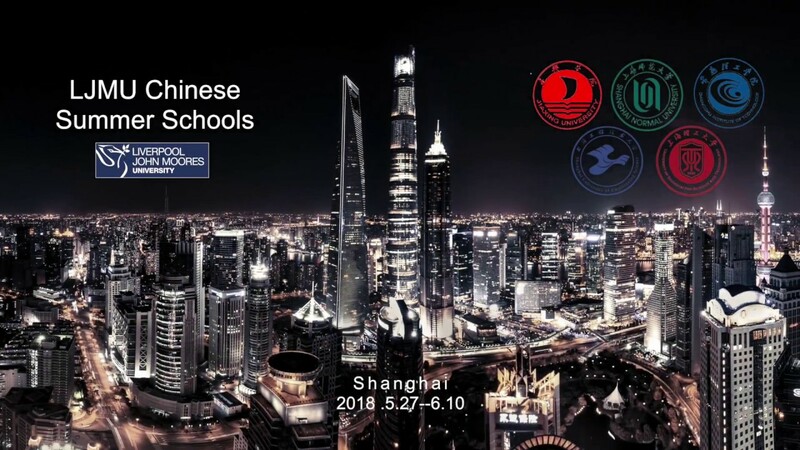 You could receive funding for the opportunity to spend up to 16 days studying at our partner universities in Shanghai – with the aim of developing your academic skills in a new learning environment, while making international connections and experiencing Chinese culture first-hand. My trip to Shanghai was the best two weeks of my life. Never again will I get such an opportunity to immerse myself in Chinese culture. Armed with our new international experience, we all feel ready to take on the world of employment after graduation with new perspectives and understanding.